Flowers are synonymous with Valentine’s Day, and for good reason. Flowers are a wonderful way to show your woman how important she is to you and remind her of all the ways she improves your life. At Passionate Bloom, we know what women love so you don’t need to stress. Our Valentine’s Day bouquets will have her head over heels. They’ll be the perfect pairing for your romantic Valentine’s Day plans! The talented florists at Passionate Bloom have compiled the top reasons why your woman deserves flowers this Valentine’s Day! Take a look at our list, and our Valentine’s Day bouquets. We deliver to Kelowna, West Kelowna and surrounding areas. Chances are, your life would not be the same or complete without the woman you love. She’s your world, and it’s important she knows you value her and everything she does to improve your life. Flowers remind her that you couldn’t imagine life without her and show her how important she is to you. Arriving with a bouquet of flowers is a wonderful way to show her that you think about her when she’s not around. She deserves to feel special and important, and flowers are a perfect way to send the message. Flowers are the epitome of beautiful. She deserves something that is as stunning as she is. Flowers are a wonderful way to show her how beautiful she is truly is in your eyes. The best thing about flowers is that she’ll be greeted by them each day when she arrives home. They’re a beautiful, lasting reminder that perfectly captures her beauty. A gorgeous flower bouquet is a beautiful way to say ‘I love you’. It’s often impossible to articulate how much we love our significant other. Flowers are a wonderful way to articulate the impossible. 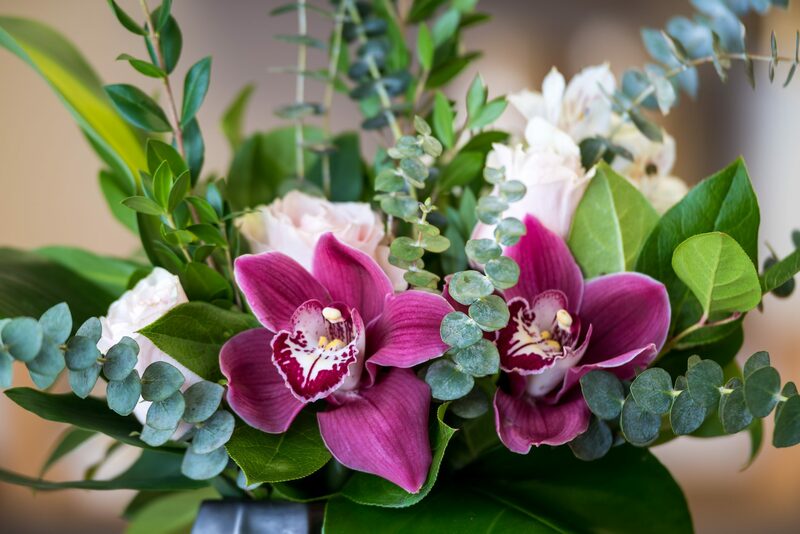 Studies show the scents and the colours of flowers induce a sense of romance and relaxation that allows you to connect deeply and express your love openly. Flowers are one of the most romantic and traditional gestures in the books. Romance and romantic gestures are important at any stage of your relationship to keep the romance alive and well. She deserves the most special gift of romance that you can give, which is the gift of flowers. Flowers induce a feeling of romance that can’t be surpassed. BONUS: It’s so Easy for you to make her Feel Special! We’ll Deliver straight to her door! Click here to order online now. Contact Passionate Blooms in West Kelowna for a truly romantic and stunning flower arrangement this Valentine’s Day.